Last week the lovely people at Lactofree contacted me and asked me whether I'd like to try a lactose free brunch recipe created by Michelin starred chef Tom Aikens. Since having my surgery four weeks ago, my consultant advised that I adopt an entirely dairy free diet. He said that after four to six weeks (four weeks just so happened to be this weekend) I should slowly start to reintroduce dairy, and see how my body copes with it. I figured that starting slowly with lactose free dairy products would be a great idea and accepted the challenge to try and recreate this brunch recipe... and I'm so glad I did! It was utterly delicious - albeit very rich! - and my body coped with the re-introduction of dairy just fine! There's something so decadent about a cooked breakfast; we do it every weekend as it's lovely having the time to prepare something special. This is definitely a recipe we'll be having again! 1. Put a medium frying pan on a medium heat, add the pile and then, when hot, add the spreadable until it melts. 2. Add the mushrooms and season with the salt and pepper. Cook for 5-8minutes without stirring so that the mushrooms start to slowly caramelise. Then add the shallots, garlic and thyme. 3. Continue to cook for 3-4minutes, then add the Madeira wine and reduce by two thirds before adding the cream. Reduce again by half and then add the chervil. 4. 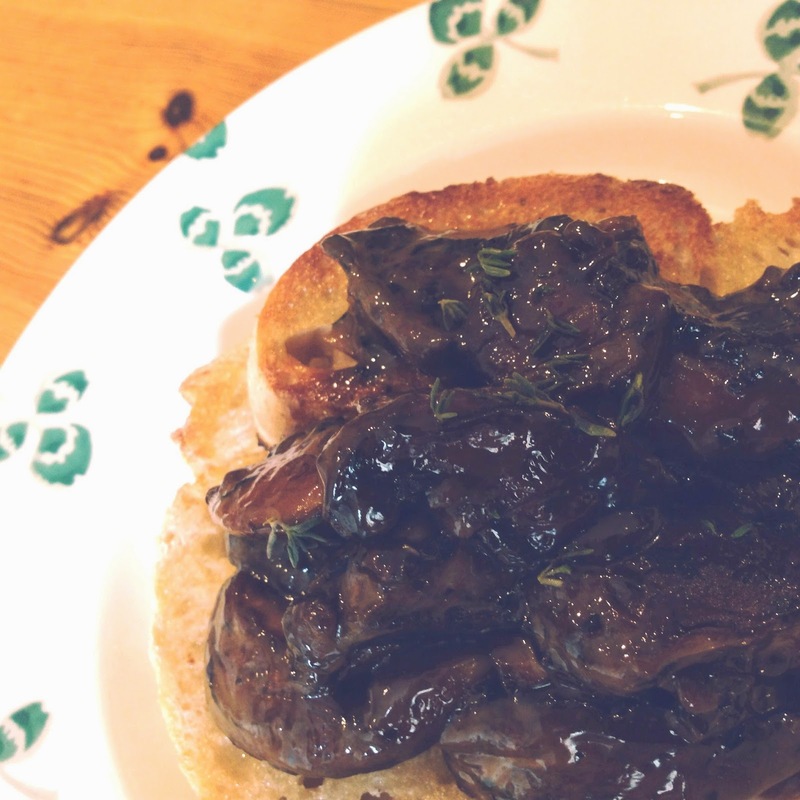 Toast the sourdough, spread with the spreadable and, once plated up, put the mushrooms on top. DISCLAIMER: Lactofree sent me the ingredients to re-create Tom Aiken's recipe.